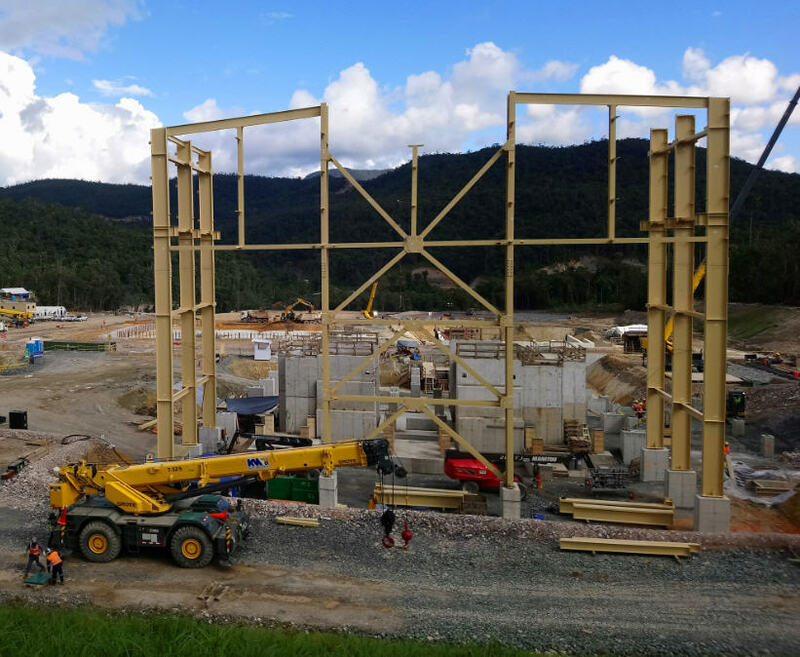 Underground mine development is on schedule and at planned rates, Lundin Gold ( TSX: LUG) expects to reach the ore body at its Fruta del Norte project in Ecuador during the first quarter of 2019, and pour first gold at around this time next year, the company says. Better than anticipated ground conditions, less water than expected and higher productivity of project contractors, have enabled Lundin Gold to increase its underground mine development rates. At the end of September the company had completed a total of 3.3 km of underground mine development. One of the largest and highest grade gold projects coming online in the near term. The company said the daily advance rates were above target during the three months ended Sept. 30. The average advance rate at the Kuri decline worked out to 6.2 meters per day versus a target of 4 metres, while the rate at the K’isa decline averaged 7 metres per day compared with Lundin’s 3.8 meter target rate. Overall engineering was 63% complete at Sept. 30, while construction was 34% complete, the company declared when it reported its third quarter results on Nov. 8. After reviewing its mine plan and capital and operating cost estimates, Lundin Gold announced in mid-September that it had managed to lower its all-in sustaining cost estimate for Fruta del Norte to US$583 per oz. from US$609 per oz. At the same time it increased its production estimates by 73,000 ounces of gold to 4.6 million ounces over the 15-year mine life, while raising its capex by just 1.2% from US$684 million to US$692 million. The capex increase was due primarily to higher infrastructure costs and greater community and environmental monitoring. Changes to the mine plan included using a lower cut-off grade (3.8 grams gold per tonne instead of 4.1 grams gold for transverse stoping and 5.0 grams gold rather than 5.1 grams gold for the drift and fill stopes). The new plan also envisions a slight increase in transverse stoping (from 72% to 75% of ore removed). Fruta del Norte’s economics also improved without changing the gold price used in the earlier estimate of US$1,250 per oz. Capital payback dropped from four years to three and a half years, while the after-tax net present value at a 5% discount rate rose to US$786 million from US$717 million and the internal rate of return rose to 17.5% from 16.3%. Lundin Gold ended the third quarter with US$291.6 million in cash and working capital of US$290.4 million, compared to cash of US$35 million and working capital of US$26.8 million at the end of December 2017. The increase was due to net proceeds from a US$396.5 million private placement in March 2018 and the final drawdown of US$110 million under the company’s gold prepay and stream credit facilities. The company’s shares are trading at $4.66 apiece within a one-year range of $4.07 and $5.52. The company has 213 million shares outstanding for a market cap of around $993 million.